Here he is gently hoisting Miss Heathrow, Carol Marshall, into the cockpit of Peter Wardle’s Lotus 59 Formula Ford outside the Savoy Hotel on 16 April 1970. Its the press launch of the Johnson Wax Euro Formula Ford Trophy with Stirling present in his capacity as ‘Director of Racing for Johnson Wax’- Claude Bourgoigne won the 1970 championship in a Lotus 69F. I was researching the winner of the series and found this gem by Marcus Mussa on tentenths.com. Its British Formula Ford and Formula Atlantic champion, Grovewood Award winner and ‘Vanwall’ Tony Vandervell heir Colin Vandervell providing his recollections of the 1970 ‘EFDA European Formula Ford Championship’ series- he was second in the ‘Magic Merlyn’, the Mk11A chassis also raced by Emerson Fittipaldi and Jody Scheckter. ‘The series was run initially by Nick Brittan and I seem to remember Tony Dron was involved (maybe he was Nick Brittan’s assistant at the time). I spoke to Colin Vandervell, who is blessed with an incredible memory- who told me a bit about the 1970 season. The series was sponsored by Johnson Wax. First prize was a F3 Lotus, with Holbay engine and a full budget for 1971! First round – Zandvoort. Nick Brittan would not let Colin enter as he considered him not experienced enough! Race was won by Tony Trimmer. Second round – Zolder. Colin got in and finished 2nd, miles behind Claude Bourgoignie, thanks to a lot of cars dropping out/crashing etc. Fifth round – Hockenheim. Colin finished 4th. The first 20 cars were inside and all over each other- no chicanes at the time! Colin describes the race as “highly dangerous”. He was in the lead for most of it with Trimmer then the main pack caught them two laps from the end and they were swamped. After Hockenheim there was a hill-climb in Switzerland, which Bourgoignie won. Then at Imola Colin was 1.5 secs quicker than anyone in practice but (Colin) Chapman arranged for a bunch of Lotus drivers to enter with instructions to take Colin out! At the first corner two Lotuses (Loti?) hit him, Mo Harness barrel rolled 15 times and ended up in a ditch, bits of his rear suspension ripping off one of Colin’s brake lines. Imola and Hockenheim were very, very fast tracks at the time. Colin says he used a 25/25 (24/24?) top gear at these tracks, higher even than Silverstone. 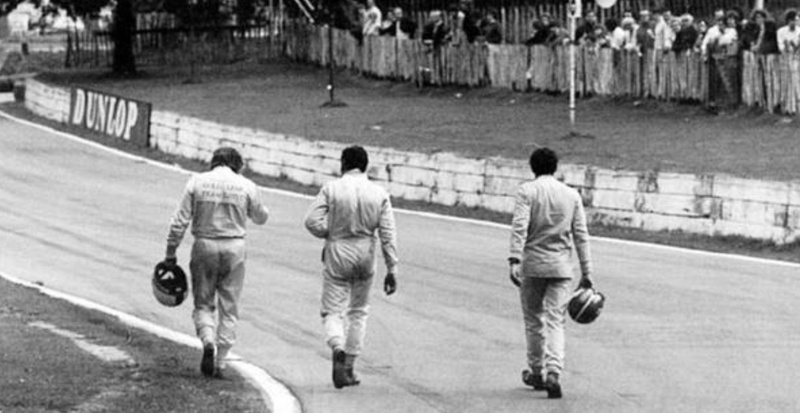 The final was at Brands Hatch and Colin won again. In the end Bourgoignie was champion by only 3 points by virtue of winning or being well placed every time. Colin is sure he would have won if Brittan had let him into the first race. I’ve included the full list to enable you to cast your eyes over the array of talent, many of whom came through into the professional ranks in the coming years if not F1. The plunge for the lead coming into the kink before North Tower. 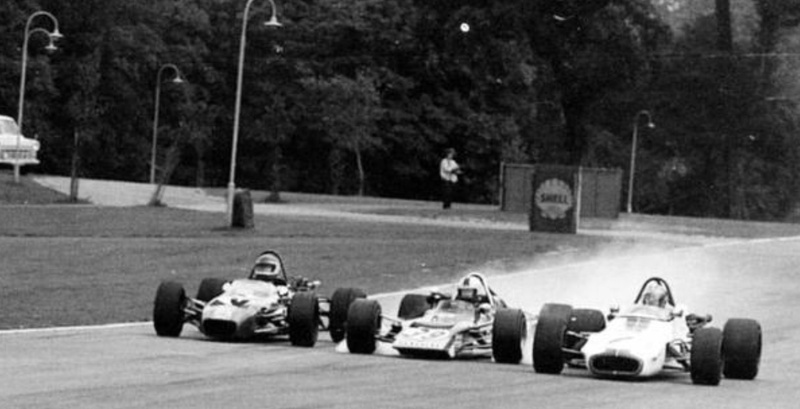 Jody Scheckter, Merlyn Mk21 Ford, Dave Walker, Lotus 69 Ford and on the right Colin Vandervell, Brabham BT35 Ford. Jody has plunged down the inside just as Walker popped out of Vandervell’s slipstream with the Lotus and Merlyn about to lock wheels- all three cars made contact. 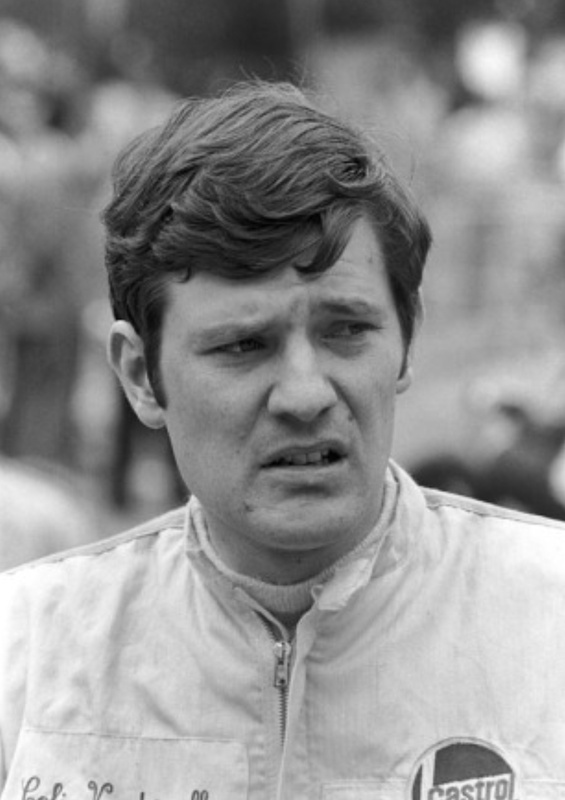 Roger Williamson won that day in Tom Wheatcroft’s March 713M Ford.